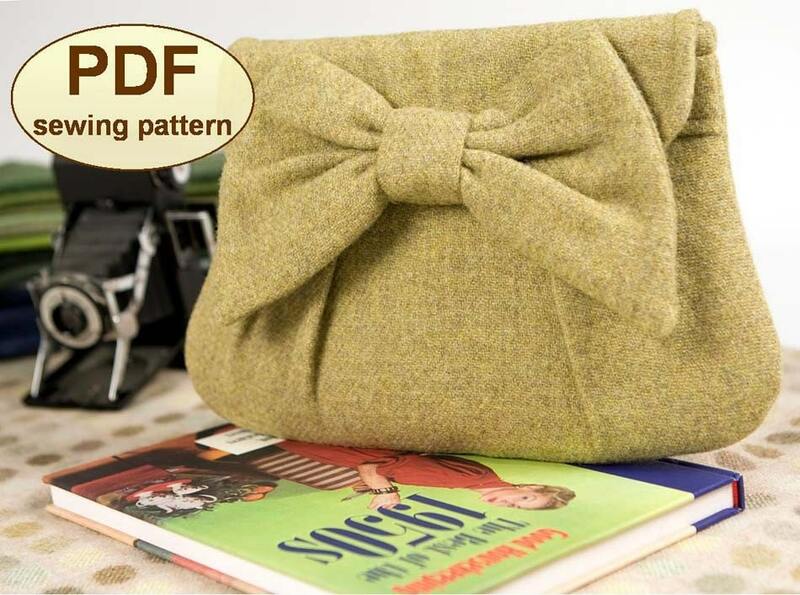 This PDF sewing pattern is for the “High Tea” Clutch Bag, a pretty 1930s influenced design with pleat details at the front, an optional front tuck and a large floppy bow. 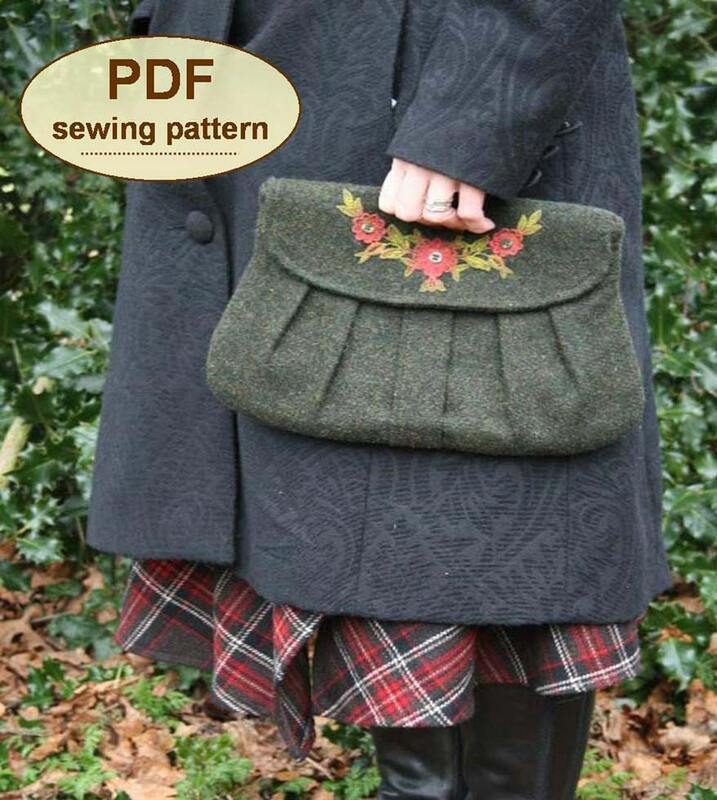 If you do not want to make the bow, you can trim the flap with lace appliqué or vintage buttons. 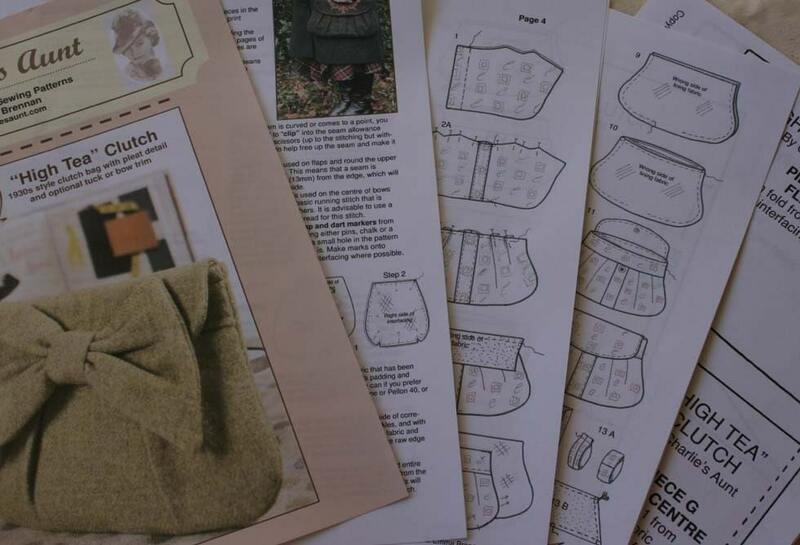 A template is included for an interior patch pocket. 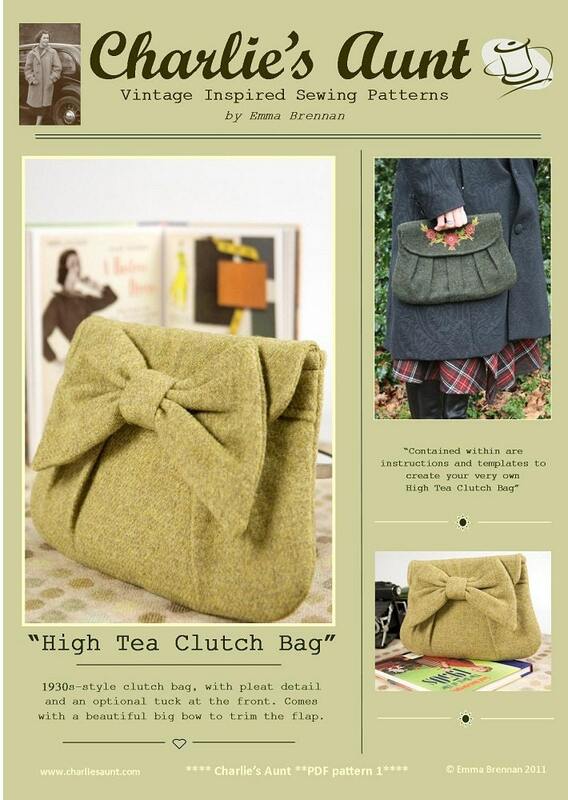 High Tea Clutch measures 9” (23cm) tall by 13” (33cm) wide. 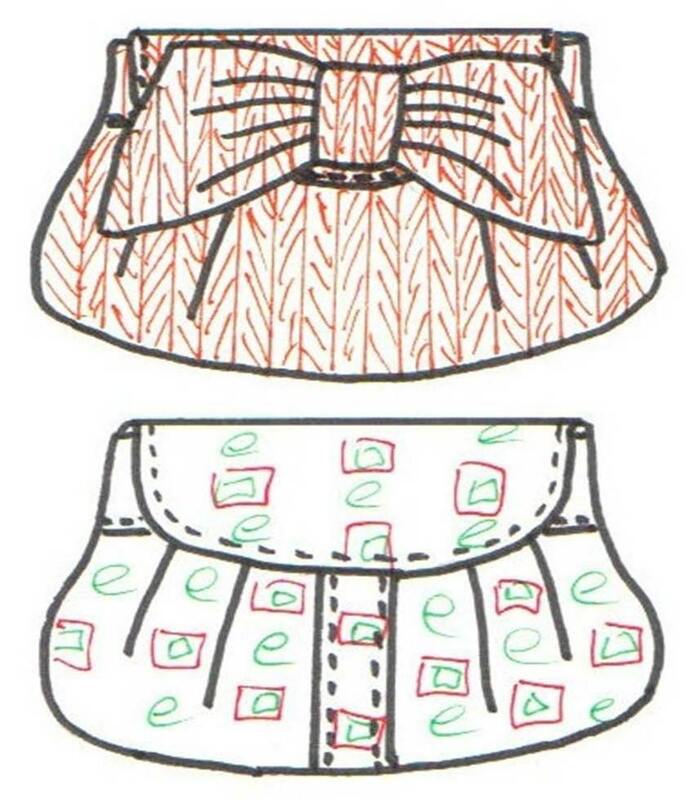 This PDF pattern has 10 pages – 6 pages including photographs, detailed instructions and illustrations, plus 4 pages of full sized pattern templates which you must print on letter (A4) paper and cut out.